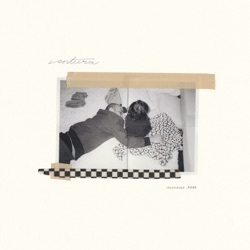 Ventura is the fourth studio album by Anderson .paak, released by Aftermath Entertainment from 12 Tone Music on April 12, 2019. Anderson .Paak has once again subverted expectations, proving himself to be one of contemporary R&B’s most spectacular forces. Ventura is lean and lovely. Anderson .Paak keeps looking backwards, but he might be eyeing the future all the same. Ventura serves as a reminder of the magic that can result from looking to the past to inform the future. Like its predecessor Ventura is a well-orchestrated collection of songs. It's a course correction away from the sound and tone of Oxnard towards something that's more soulful and loose, along the lines of Malibu. Throughout the album it seems as if some sounds from Oxnard have been recycled. An artist unafraid to reinvent and experiment. When you excel at making breezy listens, you have to be careful about your impact not blowing away. Besides a few dull moments, Ventura is a worthy companion piece to Oxnard that may even be more appealing to some listeners. Ventura is the sound of a man that’s relishing the chance to be an anomaly in an industry of carefully premeditated decisions and soundalikes. Ultimately, “Ventura” is a fine but forgettable record. His personality disappears slightly from focus with each successive release. Ventura is a slam dunk by an artist who has already proved himself essential to modern R&B. A sunnier, more soul-focused sound. It definitely feels like an improvement on 'Oxnard', and sees him moving back into his formative form. .Paak’s blandest album to date ... On Ventura, it sounds like Anderson .Paak wants to be Bruno Mars. All in all, the romantic vibe of the tightly-knit record make this album a pleasure to listen to and gives much excitement for what is next. Ventura exudes a happy, sunny aura just like the musician’s home state. Ventura distinguishes itself from its predecessor by being looser and warmer. West Coast adventurism can shade into aimlessness. Staying true to his eclectic brew of soul, jazz, and hip hop, embracing hybridity to form music so expansive, it's sometimes hard for the ears to hold. It’s impressive that he can remain this prolific and continue to dish out such effortlessly enjoyable stuff. This is Cheeky Andy at his R&B best as he reminds us why we came to love him in the first place. It's a super-charged R&B record, laced with throwback Motown/Philly grooves, that hits hard but fails to land a knockout blow. A body of work that features timeless-sounding songs. Ventura has both a quality of completeness to it that Oxnard seemingly lacked. Anderson .Paak finds a way to return to the sound that made him big without retreading on the past in recycled ideas. On “Ventura,” .Paak manages to both evolve and remind us why we’ve always loved him in the first place. Overall, Ventura‘s grooves are scintillating, with percussive filigree sputtering like fireworks across the album’s mix, and at its best the LP conjures vintage soul with modern beat science underpinnings, an elegant mix of tough and plush. Anderson's fourth project delivers a soulful ambience and an authentically .Paak 11-track set. Ventura is Anderson in his home, comfortable, showcasing all that makes him great. It’s a hollow effort lacking in any real distinguishing characteristics. The strangely punctuated Californian singer scored a significant coup by getting Smokey Robinson to duet with him on Make It Better. A tightly packaged, melodic and danceable album. A better and more satisfying album that plays to its author’s considerable strengths and skirts around his weaknesses. It marks an exceptional return to form. This is a simple collection of woozy slow-jams and blissed-out recollections. Boring single I hope this album is better than the last one. Judging by the single, I’m kinda skeptical...I am looking forward to hearing that Nate Dogg track though. YES LAWD words can’t describe how hyped I’m feeling for this album. paak is such an underrated artist. He’s so unbelievably talented!! Love this fly boys song I was just browsing around and accidentally clicked on King James,never heard of him. But love it this album will be fly. Can’t wait to download the album. Er'body Music!! Can't wait for the album to drop. Paak's music is for everyone to enjoy. He is a Cultural Icon! !